Run twice a day? Are you crazy? No, and there are a few reasons runners may complete more than one workout a day. For some it's a time issue, and they need to split up runs to fit them into their busy schedules. But others have reached a high enough level of training that they need the extra miles and stimulus. The benefits to two-a-days can vary; the following provides examples of circumstances where doubling is beneficial. More: Is Running Doubles Beneficial? If you need to run 6 miles total and it's a recovery day, you'll give your body more of a break if you complete two 3-mile runs than if you run once for 6 miles straight. If you're feeling especially tired, or you completed a really hard workout the day before, two short runs can be an excellent alternative. The only drawback to two short runs: The 6-mile run will give you a slight boost in the endurance department. But again, most of your fitness gains will come from your hard workouts and long runs, so if it's a recovery day, you shouldn't be too worried. It also depends on how often you're swapping mini runs for longer runs. As long as you complete some longer continuous runs and have already established your endurance, you'll be fine splitting your daily distance into two runs now and again. There comes a point where a runner's weekly volume is high enough that it's not smart to squeeze all of his mileage into single runs only. This advanced runner's training plan might call for an 8-mile (or more) run in the morning followed by another run of 3 to 5 miles in the evening. 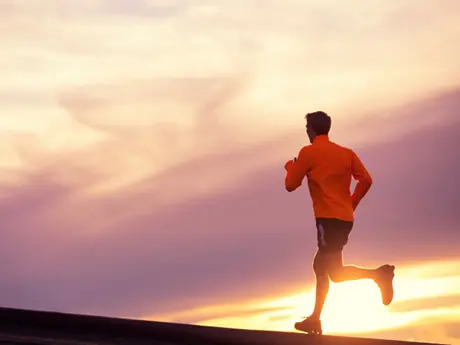 After it's been established that the athlete's body is able to handle this high-mileage load without injury, the benefits of breaking up the total daily mileage include increasing endurance, and improving the body's ability to adapt more quickly to increased stress. More: How Many Miles Should You Run?